Now this post isnt a lesson in zoology. It is inspired by Rabbi Twerski who took the lobster as an example of how growth only happens from a position of stress. 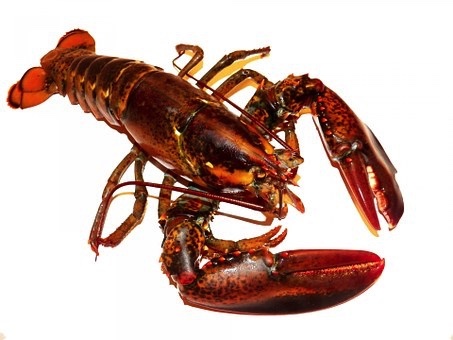 Once the lobster grows the shell becomes very uncomfortable, so the lobster needs to find a place under the rocks to shield from predatory fish, shed the shell and produce a new one. This happens numerous times throughout the lobsters life. Without this discomfort, the lobster would stay small. The lobster would stay within its comfort zone. On the other side, would the lobster be able to see a doctor, the lobster would probably be prescribed some valium or other pills to avoid the pain, at the cost of not growing. Hence, the lesson here is, a certain element of stress has always an opportunity for growth, which we can use to make changes to our lives. If you think how often we say, I am not feeling well in my skin, that’s often when we are presented with an opportunity to do something outside our comfort zone. Growth is happening through adversity.